Big Cameleo and Lamode.info Contest! 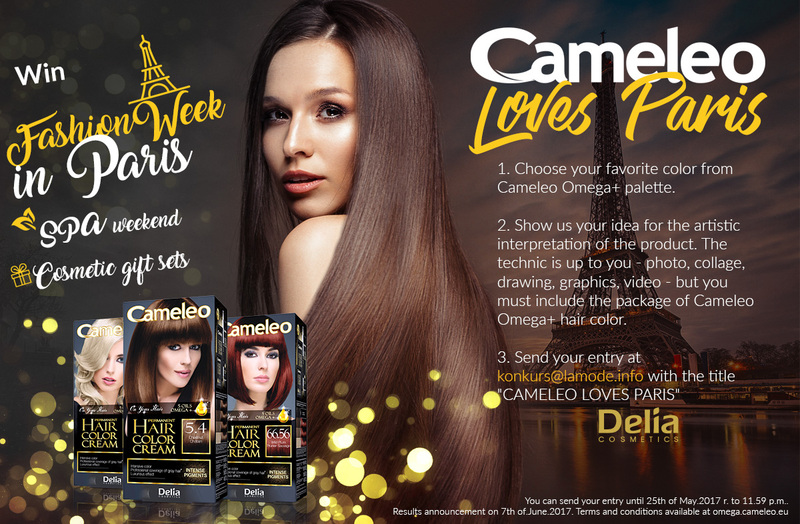 Buy Omega+ hair color cream, show it to us in any artistic form and win a trip to Paris for a Fashion Week, weekend in the SPA or one of cosmetic gift sets. We are waiting for your entires until 25th of May. Results will be announced on 7th od June 2017.